With hundreds of frames and thousands matting options, the possibilities are limitless. Whether putting the finishing touches on a family portrait, framing your latest creation, refreshing that old frame on a hook with a bold new look, or simply replacing cracked glass; we're the number one stop in Oxford County for all your custom framing needs. There is no appointment required for consultations. Just stop in and bring whatever you have with you and we'll go from there. We are open to and welcome any ideas and/or inspirations. We encourage clients to come with swatches, samples, etc., anything to help maximize the custom framing experience. Often its the minor touches that make the one of kind pieces truly perfect to each individual. *Ask about our Digital Consultations. Get a visual preview of what various framing options will look like on the walls of your home or business, before making your final choices. 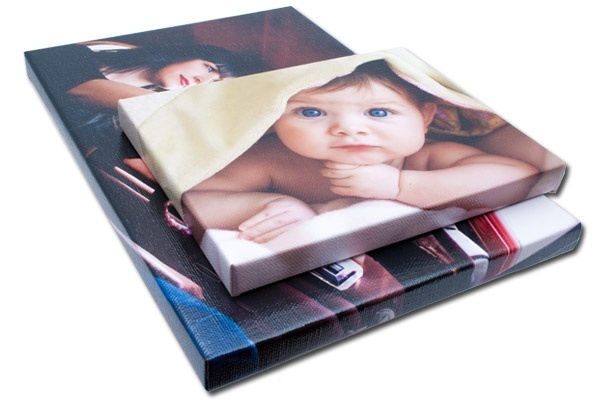 Try having one of your favourite images stretched onto a custom canvas wrap. Perfect for a touch of something uniquely modern.